"Occasionally an extraordinary photograph emerges, one that is more than a documentary record of an important event or memorable scene. The photograph itself becomes the event and, as a consequence, the world is measurably changed." --the publisher. This is a selection of photographs that, according to the author, achieve that status. 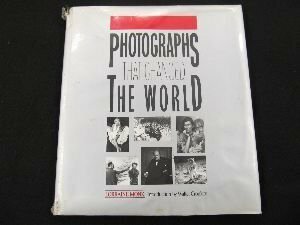 Included, among many others, are William Henry Jackson's record of Old Faithful in 1871, Lewis Hine's "Child Spinner," Bourke-White's picture of Buchenwald concentration camp victims, Eugene-Smith's "Walk to Paradise Garden," and Eddie Adams' 1968 "Execution of a Viet Cong Suspect."